If you’re thinking about a 2nd home, the answer is Now! I found this article by Bob Waun titled “If you’re thinking about a 2nd home, the answer is Now!” very interesting as many of the points discussed apply to the Brian Head real estate market. There two distinct people that are attracted to Brian Head, Las Vegans and baby boomers. Most of them are probably in the same group. According to this article, boomers are going to inherit over $40 billion over the next 35 years. People who inherit money usually spend it. Las Vegas’ population is not getting any smaller. Because Brian Head is Las Vegas’ playground, it’s predicted that Brian Head will grow even more popular than it is as a vacation and second home destination for 2nd home buyers in Las Vegas. There are no master planned communities in Brian Head…wait there will be one, Summit at Brian Head (click here). This will be the largest in Brian Head development at total build-out. I can’t wait to see their progress and results once they can get out of the ground which is expected this spring. 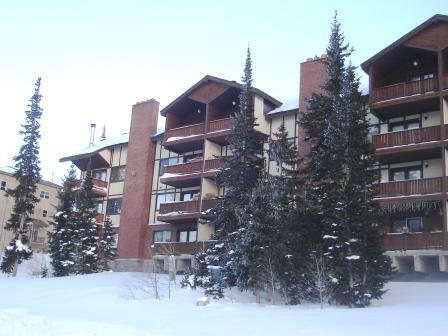 As most people know and have experienced, there has not much of a declining market in Brian Head. In Cedar City, 35 miles away from Brian Head, some developers are dropping pricing 14%, however, there are exceptions. Cedar Crossing is a development that I personally am working on and we refuse to lower prices. We sell a master planned town-home community with amenities which most places don’t offer. 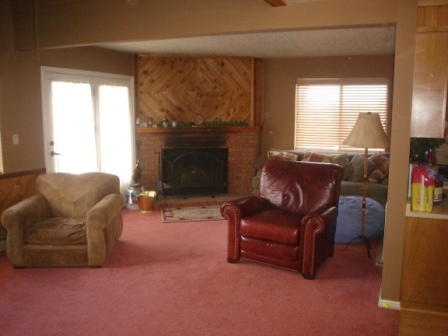 Prices are still as low as $157,900. As talked about in this article, developers who can withstand the down markets will do better in protecting their customers who have already purchased. When the market turns, everybody wins…at least those who trusted in the developer. During the town planning commission meeting today, I was surprised to hear that 96% of shuttle riders in Brian Head are traveling between Giant Steps Ski Lodge to Navajo Ski Lodge. The resort and town just spent millions planning and implementing a plan to connect two ski mountains to eliminate the parking congestion and ease the burden put on the skiers having to take off their skis and travel by bus to the other side of the mountain. My recommendation is to USE THE BRIDGE! When I was a few years younger, I used to compete in body building competitions. My mom couldn’t understand why I would get in the car and drive five minutes to get to the gym only to spend twenty minutes on the bike and another hour and a half lifting weights. I’d then get back in the car and drive home. “Why don’t you just ride your bike to and from the gym?” she would always ask. Skiers or snowboarders who don’t use the interconnect bridge appear to do the same thing. You ski all day long but you need to ride the shuttle across town. Why not just ski to the other side of the mountain? Take some time and plan your vacation. Schedule your travel and ski times. Take advantage of the new lifts and all the time and money that has been spent on the Interconnect, which is “the best thing that has happened to Brian Head Resort in the last twenty years” as Bob Whitelaw of the Brian Head Resort said. It will take time for people to get used to the new slopes and how the work. But to those who read this, help the resort and the town by integrating the changes in the town to your vacation. 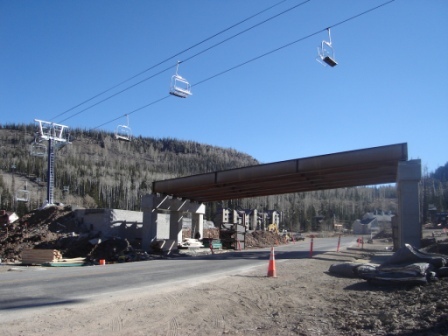 As we all know, the talk of the town is the new bridge that links two ski mountains run by Brian Head Ski Resort. Navajo Ski Mountain and Giant Steps has been divided by Highway 143 for nearly 40 years. The Interconnect Bridge that spans over the highway now serves as a new landmark for visitors, homeowners and business people worldwide. “Experience The Change” is Brian Heads newly adopted slogan. At the opening ceremony, Ron Burgess of Brian Head Resort said, “This will add nearly an additional 35% more ski terrain for Brian Head Resort”. This additional terrain will reduce ski lines and increase the access to and from the resort. Regulars like Matt Shonedeff or Riverside, California said it was his first time snowboarding this year at Brian Head. His family owns property so he comes here many times throughout the year. He said he liked the bridge and the new terrain. The mayor of Brian Head, Dutch Deutschlander said at the opening ceremony, “We heard a lot of comments and heard a lot of plans. Some people characterize it as “It is just somebody’s dream” or “Ah, that’s just a fantasy”. Well folks, you are here today to witness the reality that is here. It is built and we are going to enjoy it”. We are experiencing the change. Those who see this change the most are the local owners or long-time visitors who know Brian Head’s past. Those who are excited for this change are people looking forward to Brian Head’s future and possibilities. There are only 50-60 full time residences in Brian Head. Each one has taken part in the transformation either by actively participating in government and economic affairs or by adding another smile on the hill. Brian Head announced that Saturday, December 1st will be their opening day with limited terrain on its Blackfoot chairlift (#3). Skiers and snowboarders have been waiting eight months are anxious to get back on the snow. This weekend is your chance to come ski but with limitations. Why you ask? Because there is no snow. We’ve yet to have a major snow storm to give us any kind of base. Good news is here. Friday and Saturday’s forcast calls for snow flurries…let’s hope it DUMPS. Brian Head Skier Village | Coming to Brian Head? 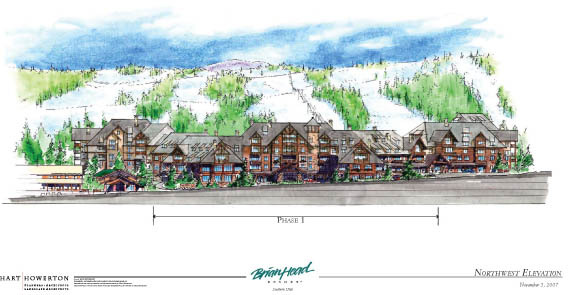 The Brian Head Ski Resort seeks approval from the Brian Head Town Planning Commission to develop a new 500,000 square foot development consisting of commercial, residential and just plain old prime recreation and luxury resort property. 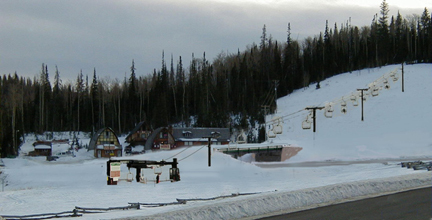 This development is known as the Brian Head Skier Village and seeks to be the focal point of Brian Head. Although its economic benefits for the town are something almost nobody can dispute, locals are torn, finding it difficult to accept the proposed development, making the Skier Village a controversial discussion. The Skier Village will bring potentially 270 additional condos that will be sold as a condo/hotel project. An additional 60,000 square feet commercial space will represent the central focus or “hub” for retail shops, ticket windows, ski schools, rental shops, deli(s), coffee shops, etc. 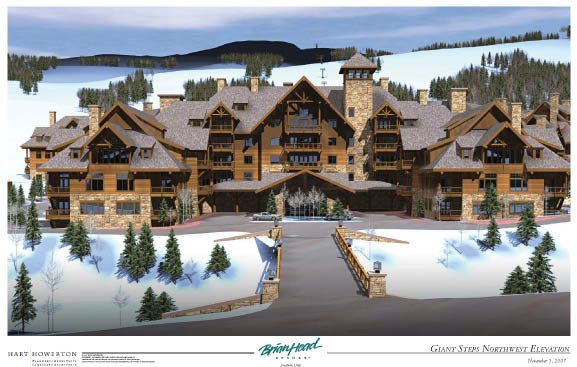 Included will also be a skier cafeteria to handle 300 skiers with outdoor and fine dining with a lounge. You will also find a state-of-the-art fitness facility with pool and private club for members, owners and guests. The lower level of this magnificent architectural structure will include employee facilities, lockers, public restrooms, private day lockers for skies and underground parking. Above the commercial hub and in the rooftops, the design call for condominiums. The Skier Village seems to be something that everyone would approve of, both for the skiers’ experience and for the much desired growth of Brian Head. However, the planning commission is slow to give recommendation to the town council for the final approval of the project. Parking seems to be a major concern for the circulation of this little town. The Skier Village calls for 200 open parking spaces to be available at the base of Giant Steps. An additional 350+ spaces of underground parking will be available for owners. 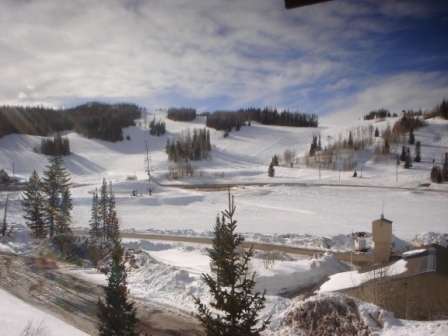 The resort has made accommodations for additional parking at the Navajo Ski Lodge and above the ski slopes at the maintenance yard throughout the year. “With the addition of two new ski lifts and the interconnect bridge, we feel that our parking plan adequately accommodates our future needs” says Henry Hornberger, Brian Head Resort General Manager. 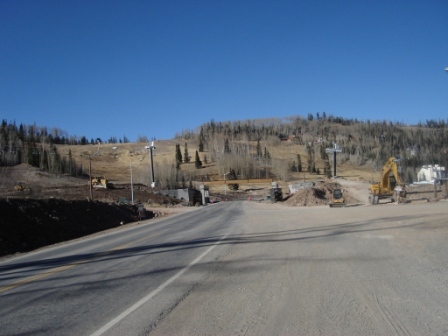 Building height is raising additional struggles for Brian Head Ski Resort. The current Land Management Code (LMC) of Brian Head currently calls for building heights not to exceed 50′ max height to the peak of the roof. In 2006, the planning commission granted height flexibility under certain requirements to the Summit development. The Skier Village also needs flexibility but needs building height of 88′ with a clock tower extending another 12 vertical feet. Some fear that the height will ruin the aesthetics of Brian Head and diminish views of the ski mountain. The architectural firm, Hart Howarton Architects continue to express the need for this request to accomplish both financial and architectural goals. A major desire that emerged from the public input is to create a focal point for the town and a pedestrian oriented core commercial area with a variety of activities and memorable images that can become a “downtown” of Brian Head. One question is, Does the development tie into existing commercial area that extends from near Bear Flat Road to the Giant Steps ski area? Nearly all agree unanimously, yes. One determination is to ensure that this is fully integrated into the existing commercial. Some argue existing shops are being disregarded. However, the resort feels that they have integrated this project with walkways and access to and from the Mall and ski lifts. In fact, as Village Way continues to be developed into the central commercial core of Brian Head, chair lift #3 will be relocated to the north of the Mall and has every opportunity to be fully integrated into the master planned central commercial core. In summary, the proposed Skier Village is the next step to enhance Village Way as the commercial core of Brian Head fulfilling the vision of the General Plan. The resort sees this need and is making huge strides in attempting to improve the resort to become a main attraction for thousands of visitors. Perhaps an additional 500,000 square feet of living, recreation and commercial area is the next step. With no ability to increase the size of the mountain, the resort has increased skiable terrain, they have plans to improve chair lifts, and are now attempting to develop something great, enhancing the visitors’ experience. There are many people who have expressed excitement with the recent growth of Brian Head as it continues to become a year round resort. The growth of Brian Head has momentum. Although there are those who would like to see Brian Head remain a small community, most people I talk with about the Skier Village are excited, optimistic and support Brian Head Resort’s progress. Installing the bridge will be the final stages for the completion of the Interconnect at Brian Head. Locals talk about how long it has taken to get this bridge to this point which has been about 10 years. Excitement is in the air. The question everyone is still asking is if this will be complete before opening day – November 15th. It probably doesn’t matter because of the lack of snow. Mother nature is helping the resort for now by staying warm. Lets just hope that this season ends up with a great year with lots of fresh snow. I’ll keep you posted on the final completion of the bridge and ski lifts. I was on the phone the other day with another Brian Head property owner who expressed huge concerns about the interconnect bridge going in. I can’t believe how much skepticism goes on in this town towards progress of new projects, the new ski lifts and the interconnect bridge. Believe it folks, the lift will be in and the bridge will be here. I guess the question is when this year. This guy was very doubtful of their ability to install the bridge before snow came and the ski season begins. Everyone is excited for this ski season- new lifts, new runs and new developments in the town, but those most excited and concerned is Brian Head Resort. “Nobody wants the bridge in more than I do” said Henry Hornberger, Brian Head Ski Resort’s General Manager in a conversation I had with him last week. They’ve put a lot of effort into making this happen this year and they will get it done. This is a great image provided by the town of Brian Head. You can see exactly where the new lifts are going, where the new runs will be and how the interconnect bridge and lifts will work together. You can also find the new chair lift maps here. Some great soul has used Photoshop to give us an idea of what it will look like when complete. Although it is not exact, they did a very good job of showing the bridge with the lift going over the road. In actuality, the lifts were required to be put exactly above the bridge. If you are still interested in learning more, you can visit the town’s website and read the Public questions & answers. I’d like to thank Mr. Hornberger and Hart|Howarton for their cooperation with this blog. Brian Head Resort Continues to plow full speed ahead in effort to have the new ski lift operational prior to the 2007-2008 opening day, November 16, 2007. It’s exciting to have new lifts, new terrain and more growth to this ski community. Doubt not, the resort is coming through. Here is your proof. 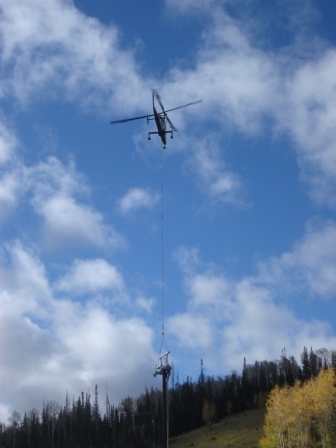 Friends of mine, Lori Brooks and Rob Stephenson sent me some pictures of the K-Max Helicopter delivering the ski lifts. Thanks guys for the great pictures. As we continue to get closer and closer to the snow season, I hope the resort can pull this off. I have never been concerned about the completion until now. We will hear tomorrow a resolution authorizing the issuance and sale of $900,000 taxable general obligation bonds for the purpose of financing the interconnect bridge. The resort will be presenting their Skier Village Development concept before the town council tomorrow. There will be a public hearing and the turnout is expected to be very big. I will write an article and will very interested to hear your input. After Tuesday’s (8-21-07) meeting where Brian Head Resort announced their decision to develop adjacent land to the Giant Steps Ski Run, many in attendance left bewildered, in awe to the thought of more residences in Brian Head. They are going to expand their resort to include 200-300 residences, commercial pads for eateries and shops. So, can Brian Head handle more? Some would approve of this decision. After many years of stagnancy, the resort and town have come together with the Interconnect, increasing the skiable terrain by nearly 35%. Now we see the resort making plans to expand. Some hope this will help bring night life and more activities to the mountain. The resort seems to be excited for the addition. This announcement may have come at the perfect time where Buyers seem to be slow to buy new condominiums. Others are concerned that there is too much growth and a huge disaster waits. This is a reason why many Buyers want to move here and buy something new but are unwilling to put $500k on the line. Historically, the market does adjust and change always occurs. 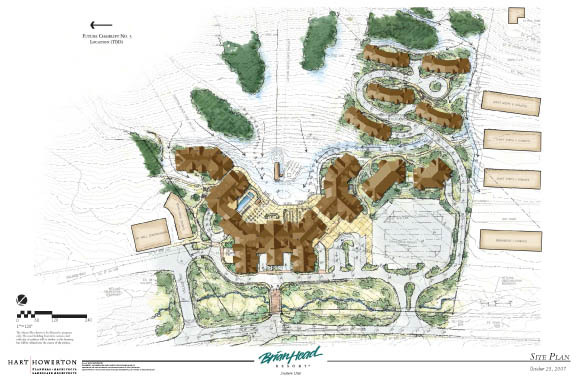 With five new developments in town and more to come, is Brian Head overdeveloping? 900+ new condominium units are expected to be completed in the next 5-6 years, not including the resorts plans. So, are we repeating the same thing that happened in the 1980’s? The resorts timeframe is 7-10 years, which may be enough time to start their planning now and move forward in their building when the CA, NV, and AZ markets rebound, if they rebound. Is it possible that their timing is perfect? No doubt there is skepticism. No doubt there are problems to be addressed, but one thing is for sure, Brian Head is in for transformation and growth spurt. 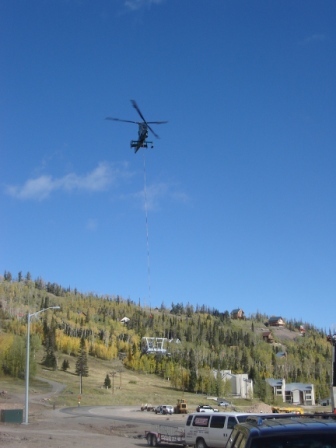 As I am typing this article, there is a helicopter over head transporting cement from Hwy 143 to the top of the mountain for the base of the chair lifts. It has been interesting to learn more about the building operations for the new ski lifts. The helicopters used in this operation are not like the helicopter I am familiar with. This helicopter is known as a K-Max. The K-Max is a double prop helicopter used in many different situations. The double prop allows for precise control in harsh weather conditions. It also provides extreme vertical lift power, perfect for fighting fires and other natural disaster situations. As we can see today, the K-Max is used in construction situations where transporting cement is near impossible. If you would like to see a K-Max in action, this link shows power lines being built in Norway using this spectacular machine – Click Here. I have provided a few pictures of the one used here in Brian Head…Hope you enjoy.By the way, I spoke with one of the Brian Head employees, Bob, about the new speed lifts that have been talked about. He said they are not going in this year because their plate is full with the inter connect. There are tons of resorts upgrading their lifts so the costs of the lines were too high. We should be seeing the faster lifts within the next year or two when their order can be filled at a reasonable price. 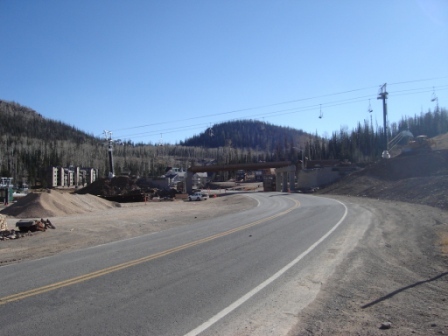 Many of you have already heard that Brian Head Town and Resort have been working on an interconnect system that will add two new ski lifts and a bridge across Hwy 143. Skiers will have ski access to virtually the entire mountain without using the shuttle to get from Navajo Lodge to Giant Steps. This will drastically affect the circulation of users. It will also have an impact on the aesthetics of the mountain. I am trying to get a picture of the proposed bridge to show everyone. It has not been published by the town yet but so it has taken longer than I thought. A once talked about idea is now being built and the long anticipated wait is almost over. As reported in this article by Deseret News, “Brian Head seeking bridge over highway”, Brian Head Resort would add about 33% more terrain. According to Brian Heads general manager, Henry Hornberger, this would add “about six new runs”. Trees have been cleared, dirt has been piled and designs have been made for the bridge and ski lifts. 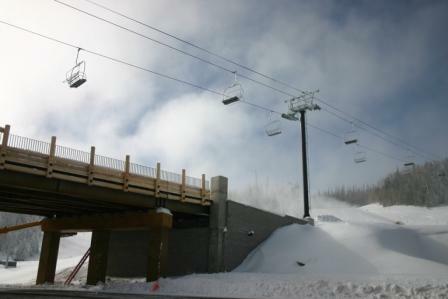 The anticipated completion date is set for the fall of 2007 which means it would be open for the 2007-2008 ski season.